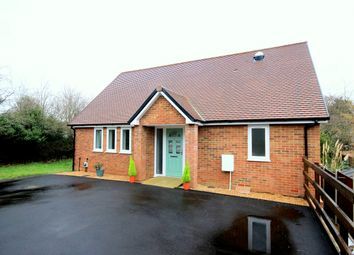 This brand new individually built detached chalet bungalow is tucked away within a convenient location, within just 0.4 miles of the mainline rail station and town centre amenities. The versatile accommodation features an open plan kitchen/dining room, living room with French doors to rear garden, further reception/optional third bedroom, separate study and shower room plus two bedrooms and bathroom to the first floor. The property further benefits from off road parking. Three double glazed windows to front aspect. Window to side apsect. Radiator. Walk in bay with double glazed French doors to rear aspect and double glazed windows to either side. Double glazed window to side aspect. Radiator. Opaque double glazed window to front aspect. Three piece suite comprising: Walk-in shower cubicle, low level WC and wash hand basin set in vanity unit. Chrome effect heated towel rail. Extractor. Double glazed skylight. Radiator. Loft access. Doors to both bedrooms and bathroom. Light tunnel. Three piece suite comprising: Bath with Bristan shower unit over and glazed shower screen, low level WC and wash hand basin set in vanity unit. Radiator. Mainly laid to lawn. A variety of shrubs. Part enclosed by fencing. Side access. Driveway providing off road parking for approx. Three vehicles.